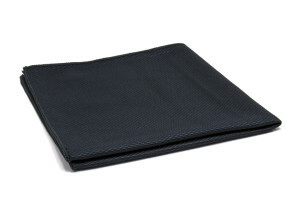 The Medium (12" x 12") Microfiber Screen Cleaning Cloth wipes smudges off of cell phones, iPhones, tablets, iPads, computer screens, watches, and glasses. One swipe with this touch screen cleaning cloth you have a clean and clear surface to view. The lightweight microfiber suede fabric has an extremely low pile to minimize lint and streaking. Tablet screen cleaning cloths are best used dry on a smooth surface. The low pile and smooth surface of this microfiber suede touch screen cleaning cloth makes it ideal for dye-sublimation printing, and are a favorite of marketers looking to make a customized giveaway for a trade show or for customers.